Colgate official sees "urgent need to address oral health"
This is the most prevalent disease among children, with more than 60% of 5 year olds having at least one cavity. ... While these findings have stimulated action among the medical and dental communities to work collaboratively in identifying and treating oral disease in these very vulnerable patients, it is the fact that the oral disease is preventable in the first place which should take precedence in our management of this problem. Developing and implementing preventative technologies is the solution to addressing both of these issues. Today, the partnership between industry, government and non-government organizations in dealing with these two oral conditions is necessary for any preventive measures to be successful. The oral care industry continues to develop new and innovative technologies that can improve the prevention of gum disease and caries beyond what is currently available. These emerging technologies need to be tested by independent authorities, to determine the effectiveness and efficiency at which they prevent oral disease. 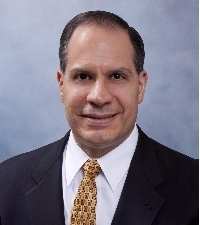 Panagakos is chairman of CDHP's board of directors.